This is a prime lens manufactured by Nikon and the model was launched 2004. 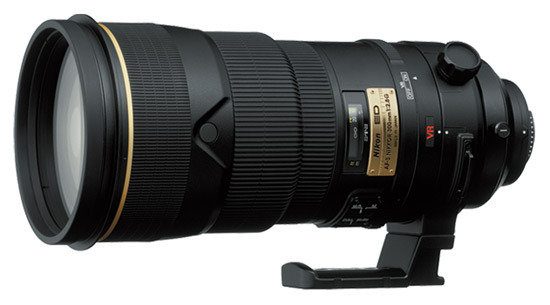 Text from Nikon: "This fast f/2.8 telephoto lens features Nikon’s VR II image stabilization technology and Nano Crystal Coat and high-speed AF for exceptional optical performance. Super-fast telephoto AF-S lens with Vibration Reduction (VR II) and Nano Crystal Coat. Nikon´s exclusive Silent Wave Motor (SWM) enables ultra-high-speed autofocusing with exceptional accuracy and powerful super-quiet operation. Focus limiter switch limits AF-servo movement to a selected shooting distance range."